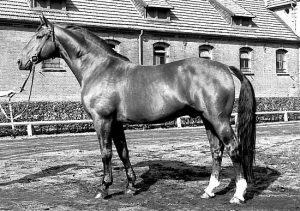 Former member of the Hanoverian State Stud “Prussian” Quadrille, which demonstrated throughout Europe and at Spruce Meadows in 1985. 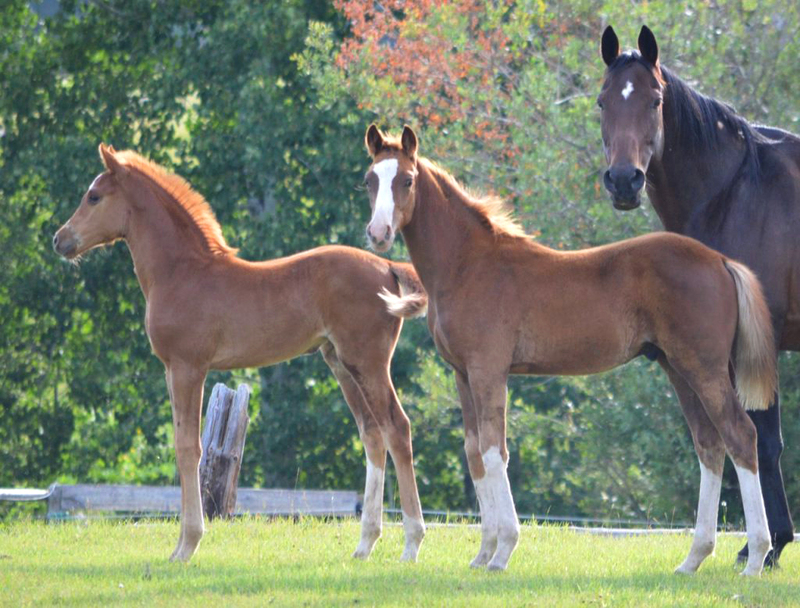 Arkansas was chosen and trained by the Hanoverian State Stud for their prestigious black and white Quadrille. This exhibition of black and dark bay stallions is part of the annual Celle Stallion Parade. 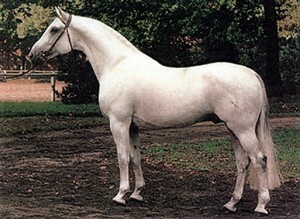 Snow white by the age of 11 when he was imported into Canada, he exuded an unmatched nobility and presence which was enhanced the moment he displayed his floating passage. Along with his exceptional rideability and talent for collected work in dressage, his value as a sire extended to both jumping and dressage.